Peabody, MA - Genevieve Mary (née Marcinonis) Kania peacefully passed away in her sleep on November 24, 2018 after receiving family members and friends at Brooksby Village in Peabody. The daughter of Lithuanian immigrants during the great 20th Century migration to Lawrence, MA, Genevieve and her two brothers, Albert and Stanley Martin who have preceded her in death, grew up in Lawrence. Their parents, Marijona (nee Šablauskas) and Aleksandras Marcinonis, alternated shifts at the Lawrence textile mills so that at least one parent was home with the children. Often compared to actress Ginger Rogers, Genevieve was popular at dances held by the local Lithuanian and Polish social clubs where she met her soon-to-be husband, Frank J. Kania, also of Lawrence. They were together for 58 years. While Frank served in the U. S. Army in Europe during World War II as a jeep-driving private on the front lines, Genevieve worked as a quality-control inspector at the Remington Arms manufacturing lab in Lawrence. After the war, the family moved to Beverly, where Gen took care of Richard and Alan as they progressed through the Beverly Public School System. 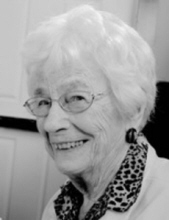 Genevieve was active in the St. Peter’s Church Couples Club, the Hammond Organ Society, the Beverly Republican Club, and in Eastern Star where Genevieve served in various official capacities. Frank became one of the original employees of the Salem Harbor Power Plant where he started as a watch engineer and advanced to Chief Engineer of the plant. Genevieve is the last of her first-generation immigrant family. She is survived by her two sons. Richard provided her with three grandchildren who live in Southern New Hampshire and Florida, and four great-grandchildren. Richard serves as the clinical director of an opiate treatment program in Derry, NH; and Alan lives in Parker, CO where he retired from 50 years of print photojournalism and has written eight published books. After Frank passed away in 2000, Genevieve moved to Brooksby Village in Peabody, MA where she was active as a swimmer, and organizer of millinery-hat shows to entertain her fellow residents. A Celebration of Life is being planned for April 7, 2019 at Brooksby Village and internment at Bellevue Cemetery in Lawrence. In lieu of flowers, memorial contributions may be made in the name of Genevieve M. Kania to Shriners Hospitals for Children, Attn: Office of Development, 2900 N. Rocky Point Dr., Tampa, FL 33607. Online condolences at www.campbellfuneral.com. To send flowers or a remembrance gift to the family of Genevieve Mary Kania, please visit our Tribute Store. "Email Address" would like to share the life celebration of Genevieve Mary Kania. Click on the "link" to go to share a favorite memory or leave a condolence message for the family.